Give it a try. Your first three practices are free! Registration is full. 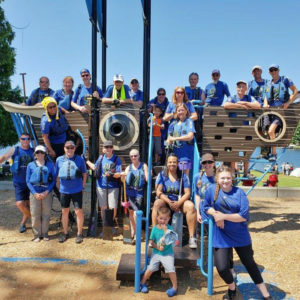 We're looking forward to a day of fun on the water at Thea’s Park in Tacoma. 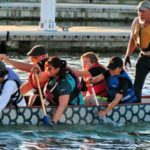 As one of the first festivals of the season, the Rainier Dragon Boat Festival is a favorite “warm up” race for recreational and competitive teams throughout Washington and Oregon. No experience necessary. 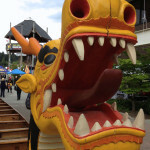 Dragon Boating is a great team building activity! 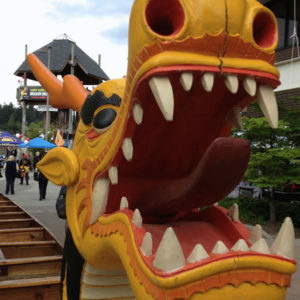 Get your friends or coworkers together and compete against other community teams at the Rainier Dragon Boat festival. New paddlers are always welcome. No experiene is necessary to be a part of Destiny Dragons. Practices start at the dock at Johnny’s Dock restaurant, 1900 East D St in Tacoma. 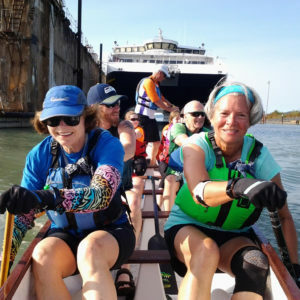 PFDs, paddles and instruction are provided. 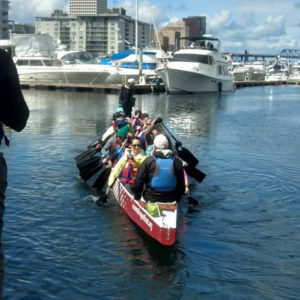 Join us for a day of fun on the water at Thea's Park in Tacoma. Corporate, community and club teams are invited to participate. 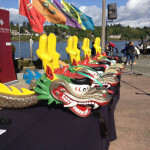 We participate in local community events to introduce people to the great sport of dragon boating. We also travel to festivals near and far to race against other clubs.